Hi, so today I am traveling to Salt Lake City. As I mentioned in yesterdays post I will be posting my creations. 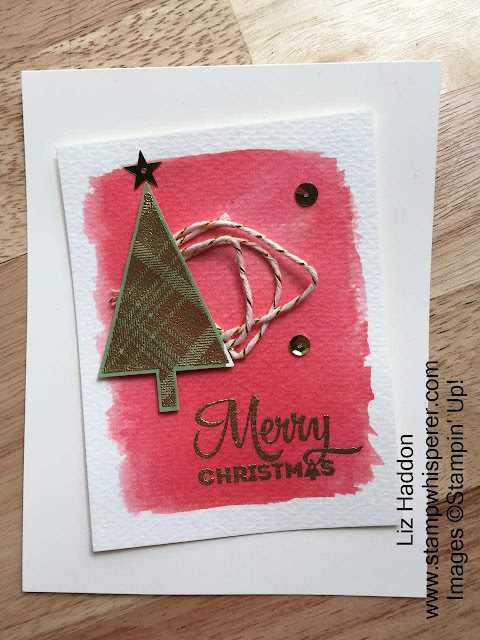 Today's card is a take off of June stamp club water coloring technique. I took the design and changed the colors and stamp set. I absolutely love the way it turned out. It was fun. I will say that it isn't the easiest card to do. 1 to 10, 1 being easy, 10 being hard, I would give this a 5. There are many elements to this card. Enjoy. I used Gold embossing powder on the tree and the the words.